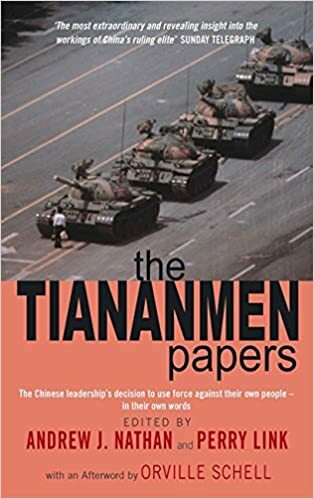 THE TIANANMEN PAPERS, which contains documents unearthed from the guarded core of the Chinese Politburo, is the most important book on China published in decades. It reveals the highest-level processes of decision-making during the tumultuous events surrounding the terrible massacre in Tiananmen Square on 4 June 1989. Drawn from about 2,000 documents, THE TIANANMEN PAPERS have been compiled and edited as part of an extraordinary collaboration between America's most prominent China scholars and a handful of Chinese people who have risked their lives to obtain them. The Chinese pro-democracy demonstrations in 1989 were the longest lasting and most influential in the world. THE TIANANMEN PAPERS exposes the desperate conflict during the period among a few strong leaders, whose personalities emerge with unprecedented vividness. Its revelations of the most important event in modern Chinese history will have a profound impact not only in China, but in every country in the world that deals with China.